Following a visit from Wesleyan missionaries in June 1839, Christian Māori regularly led services on Mana Island. Anglican missionaries who arrived in November that year noted similar services at Hongoeka. In June 1839, two Wesleyan missionaries, John Hobbs and John Hewgill Bumby, met with Te Rauparaha in his whare on Mana Island. The following morning Te Rauparaha had breakfast with the missionaries on board the Hokianga. He expressed a wish to have a missionary, promising a range of benefits if his request was met. On leaving, Mr. Bumby assigned to him, as a teacher, a young Māori appropriately named Paora (Paul), one of the cleverest and most pious of the Mission lads. Later that year, Te Rauparaha sent his son Tamihana Te Rauparaha to the Bay of Islands to request a missionary. In November 1839, the Anglican missionary Octavius Hadfield (later Anglican Primate of New Zealand) arrived in the area. In his diary, he noted that Christian services were regularly held on Mana Island, presumably led by Paora. 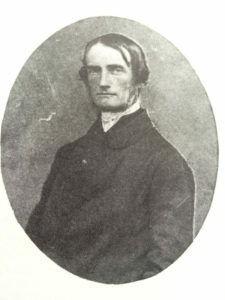 In 1843 Wesleyan Reverend Ironside recorded in his journal that Rawiri Puaha took his followers from Cloudy Bay and Port Underwood in the South Island to Taupō. Puaha had converted to Christianity, and Taupō Village became the centre for missionary work in the area. In 1845 Ironside and his fellow Wesleyan missionary James Watkin held a major hui here, and in 1848 a chapel was erected at Taupō Village, costing £3. Although Māori conversions were initially few, by the mid-1840s, well over half the Māori population in New Zealand were estimated to be gathering regularly for Christian worship, influenced by Anglican, Wesleyan and Catholic traditions. By the end of 1841 Hadfield, based at Waikanae, was ministering to some 7,000 widely scattered Māori, and supervising 18 schools set up to provide an elementary European education. Local Māori practitioners took up and expanded the work of the European missions. These evangelists and teachers witnessed the spread of the gospel from Kaitaia to Rakiura/Stewart Island. 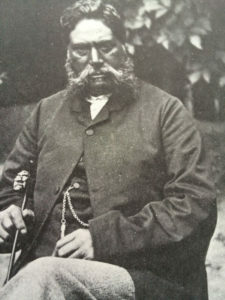 Tamihana Te Rauparaha, son of Te Rauparaha, was one of the local Ngāti Toa Rangatira Anglican Christians. J H Roberts, The Wesleyan Maori mission in Te Upoko o Te Ika, Wellington District, 1839–1885. Christchurch: Methodist Publishing, 1992. John Hewgill Bumby, Journal June – December 1839, Alexander Turnbull Library, Wellington.